Oh what a life to be a politician. While Great Britain basks in its first proper heatwave in four decades, the folks that run our countries are trapped inside discussing the merits of customs unions and fuel tariffs. It’s miserable work, but somebody’s got to do it. For the rest of us able to bask in the sunshine, we really ought to make the most of the weather; as we know in the UK, autumn’s miserable grip is only ever just around the corner. 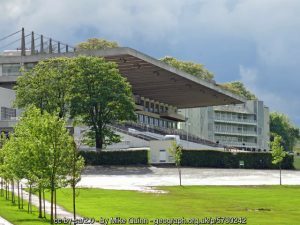 So why not head down to Sandown Park on Saturday, where a cracking racecard is headlined by the Eclipse Stakes. 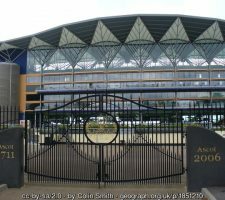 This Group 1 renewal, which has since been renamed the Coral-Eclipse for sponsorship reasons, was at one point Britain’s richest race, and while the prize pot hasn’t expanded exponentially since this is still a prestigious outing; indeed, Classic winners like Golden Horn have taken the spoils here. 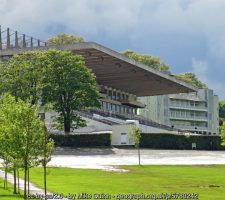 The heat has helped to bake Sandown’s turf and the pace will be electric on Saturday; but which horse will make their connections roughly £450,000 richer by the evening? Derby Winner Masar Poised for More Glory? The Eclipse will feature a group of horses known as the ‘classic generation’, and they have a habit of hoovering up in the UK’s feature races. Saxon Warrior, the 2000 Guineas champion, and Roaring Lion, Dante Stakes winner, are in the mix, but the majority of the money so far has come in for Masar, who took the spoils in the Epsom Derby back in June. The Charlie Appleby horse will look to follow in the hooves of Golden Horn and Sea the Stars, who took the spoils here after triumphing in the Derby. There are plenty of things going for Masar – the Godolphin connection has owned five Eclipse winners, for example, and things that may just put a spanner in the works: none of the past 15 Eclipse champions had run more than three times in their victorious season – Masar has already turned out four times. There are only four Group 1 winners in this field – Masar is amongst them – and only a pair of runners have a previous win at Sandown to their name; again, Masar is on the list. The three-year-old will receive weight from the older horses, of course, and if he heads to Sandown in the form he showed at Epsom he will take some stopping. The price of 7/4 is more than fair. After striding home in the 2000 Guineas, many expected Saxon Warrior to hack up in the Derby next time out – to the extent that Aidan O’Brien’s jolly was an odds-on favourite. But in racing things rarely go as planned, and he was well beaten into fourth by Masar and co.
That general downward trend continued in the Irish Derby last time out when third, and a youngster once considered the best hope of his generation now has doubts to answer. Lion Set to Roar or Whimper? The most likely challenger to Masar appears to be Roaring Lion, a horse who has tasted defeat to the favourite on two separate occasions and Saxon Warrior twice as well. That would suggest the John Gosden colt isn’t quite up to the mark of his more illustrious peers, although a step down to 10f should suit after a meandering end to his derby challenge saw him ran out of second place. The 10f mark saw Roaring Lion deliver the best performance of his career, albeit in a low-key renewal of the Dante Stakes, but he is yet to win in Group 1 company. Punters haven’t deserted him – he’s into 7/2 – but it would be a bet based on hope rather than expectation. This renewal has been won by horses aged four years or older in seven of the last ten years, so don’t be too hasty to write off the senior statesmen. 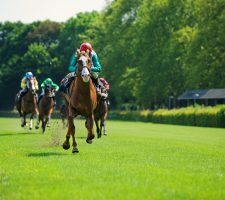 One under-the-radar three-year-old to follow could be Happily, who had the pace of Masar when the pair competed as two-year-olds in the Prix Jean-Luc Lagardere last October. The O’Brien charge has not kicked on as a three-year-old, but clearly has a frightening turn of pace when preparations are good. And how about a former Eclipse champion, Hawkbill, at a huge 33/1? That triumph came back in 2016, and while there has been little in the way of improvement since then, a strong run from the front to win at Meydan in March served notice that he can impress when the tactics are right.